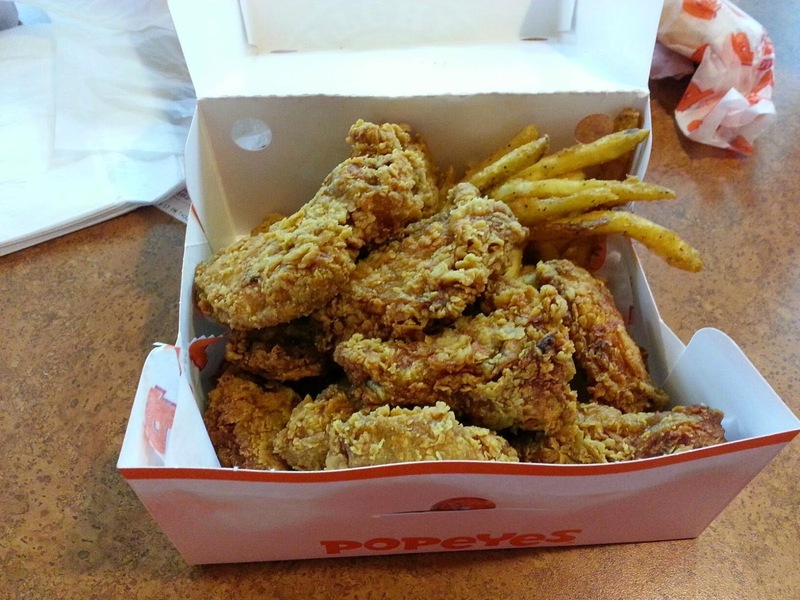 I love Popeye's and everyone knows I love hot wings, so when I saw a commercial that they combined them I was pumped. 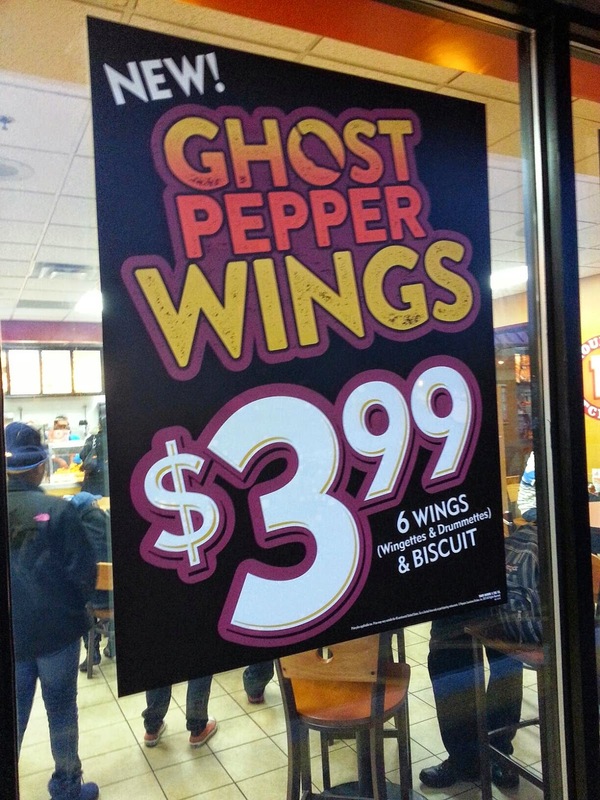 I got 12 ghost pepper wings and although the chicken itself was great I was a little disappointed in the heat level. I wasn't expecting crazy hot, I figured they would mellow it out even using the ghost pepper but this was barely hotter than their spicy flavor they usually have. Maybe its because its a dry rub and not a sauce but you can save the time of running out to get these. Thats how you review a place Smiddy!